Ms Ikaramullah is an artist in her seventies. 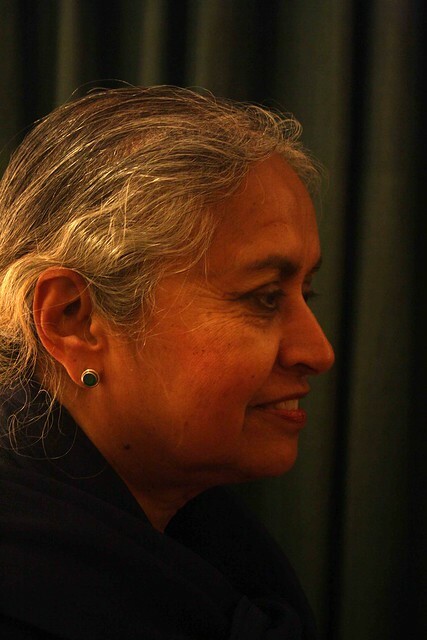 Trained in lithography, her work is displayed across galleries in Amman, Bombay, Islamabad, Ottawa and Washington DC. 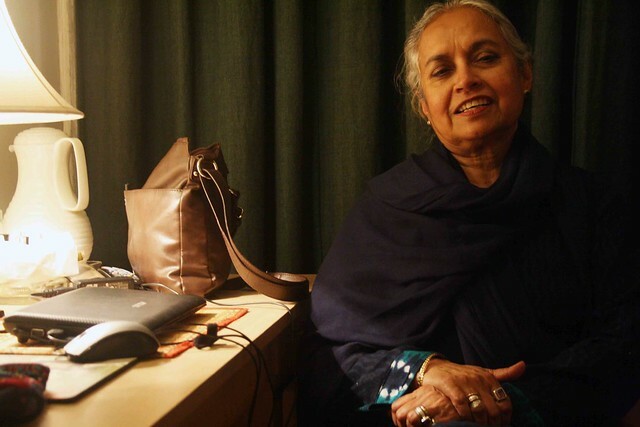 She herself divides her time between Karachi (winter) and Ottawa (summer), that is if she is not holidaying in Delhi, Dhaka or London. I ask the waiter to bring me pindi channa, mutter paneer, aloo jeera, tandoori roti and hari mirchi. Ms Ikramullah’s father was Pakistan’s first foreign secretary. 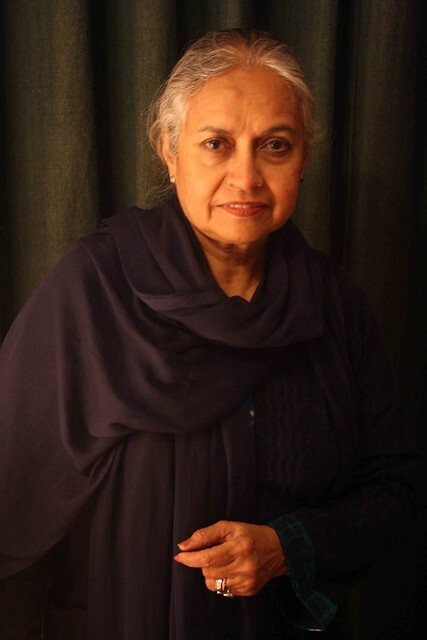 Her mother, an ambassador, was posthumously honored with Nishan-i-Imtiaz, the nation’s highest civilian award. One of her uncles was Pakistan’s Prime Minister; the other was India’s Vice-President. Her sister is married to a senior prince in the royal family of Jordan. 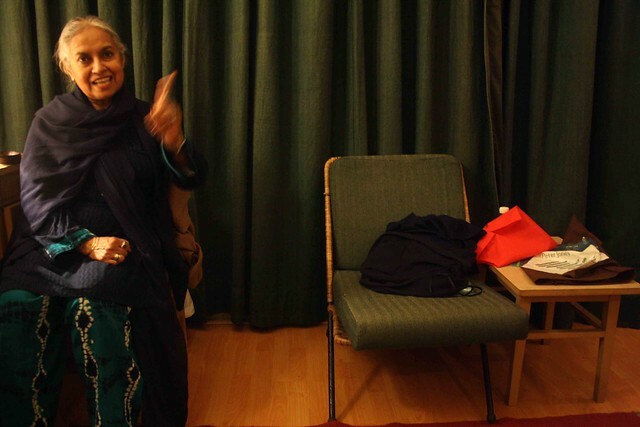 In the years following her marriage, Ms Ikramullah settled in Canada, now home to her daughter and family. 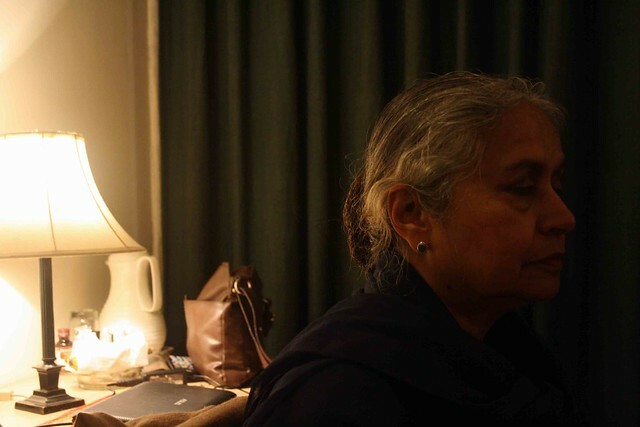 In Delhi, Ms Ikramullah, an IIC member, always stays in residence. The rooms have hotel-like comfort. The staff know her, and she is always eager to get updates on wives, children and marriages of their distant cousins. Otherwise her days in the capital are spent visiting art galleries and bookstores. She catches up with friends at their homes in Shanti Niketan, Maharni Bagh, Nizamuddin East and Amrita Shergill Marg, or call them to dine with her in IIC.